Today we celebrate the feast of the Sacred Heart of Jesus! with the whole month of June dedicated to his heart. Jesus appeared to St Mary Margaret Alacoque in 1673 calling for a devotion to his physical heart pierced in love and his passionate burning love for you and for me. A zine featuring prayers from St Mary Margaret Alacoque, St Bernadette Soubirous of Lourdes and St Therese of Liseux. 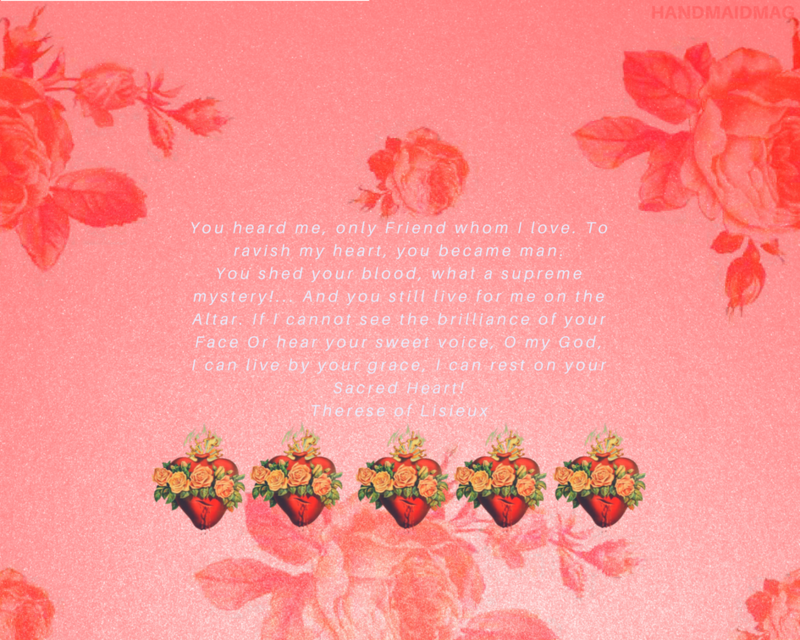 Sacred Heart of Jesus, have mercy on me! As I recline my head on your chest like St John I can't help but recall your wondrous, passionate love for me. Draw me into your peace, and Lord when I move closer help me to hold the hands of those around me, who like me are in need of you.